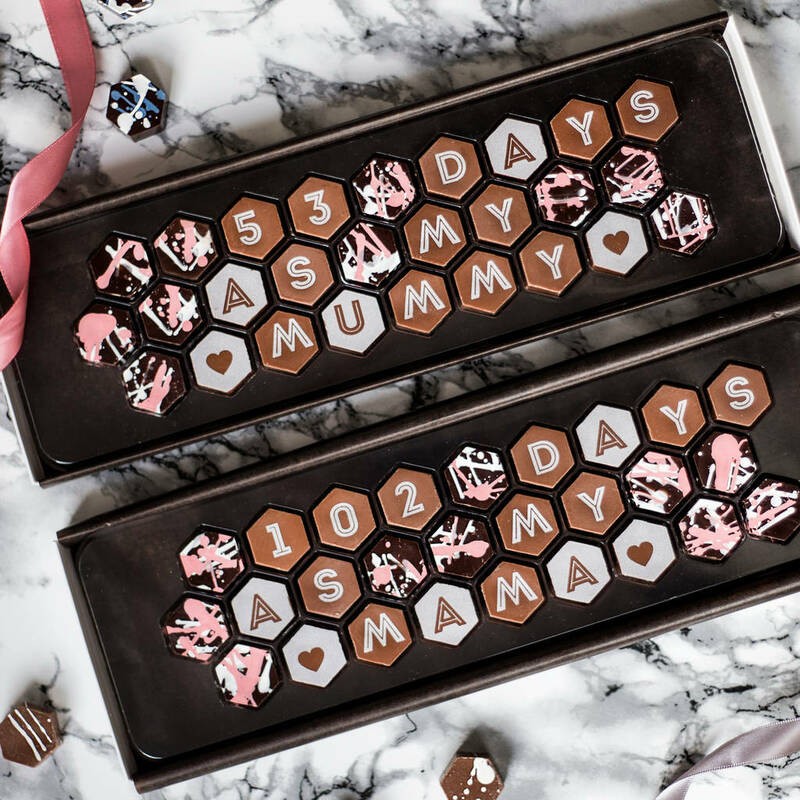 Special edition Mother's Day chocolates featuring the amount of days as a mum as well as a personalised Mother's Day card. 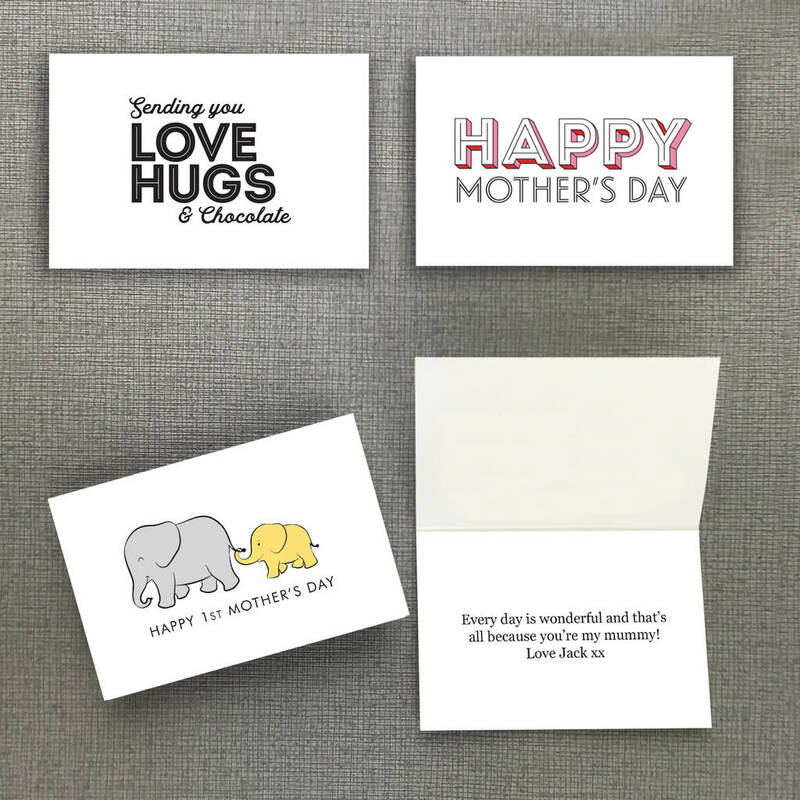 Perfect for sharing, this box comes complete with a hidden mini card ready for you to add your own message to. 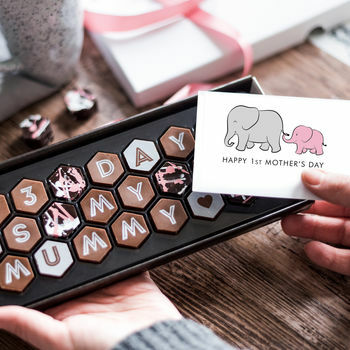 Hassle-free yet thoughtful, this is especially cute when a message from the baby is discovered inside the box. 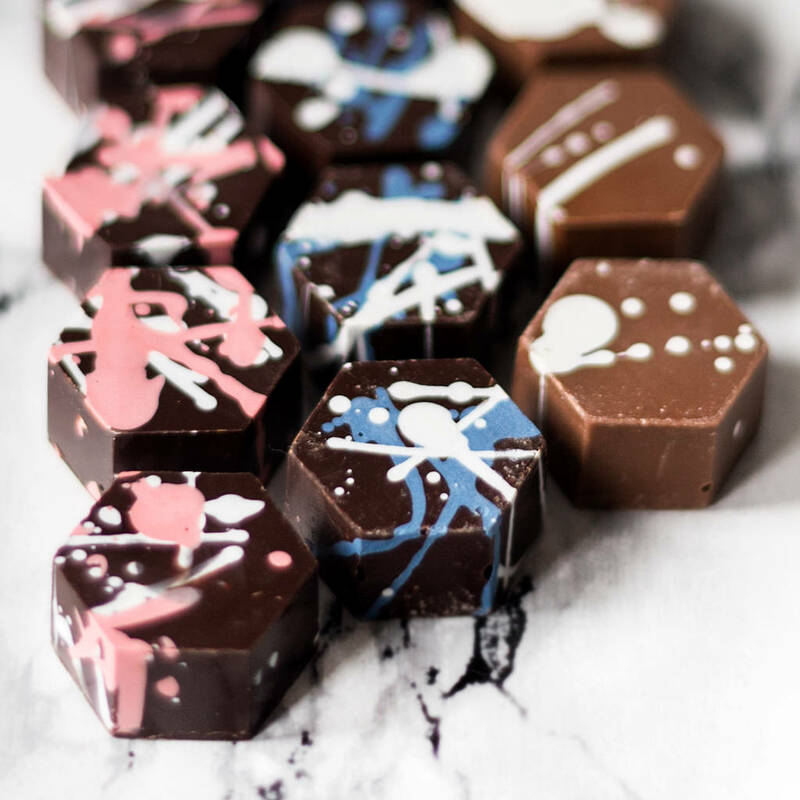 Handmade by our Scottish chocolatiers using smooth Belgian milk chocolate, this thoughtful gift looks and tastes delightful. To finish off the gift, select your preference of ribbon colour - and your gift is all ready to give with no need for further gift wrapping! When you add you message - just make sure it works on two lines and have a maximum of nine letters in each line! 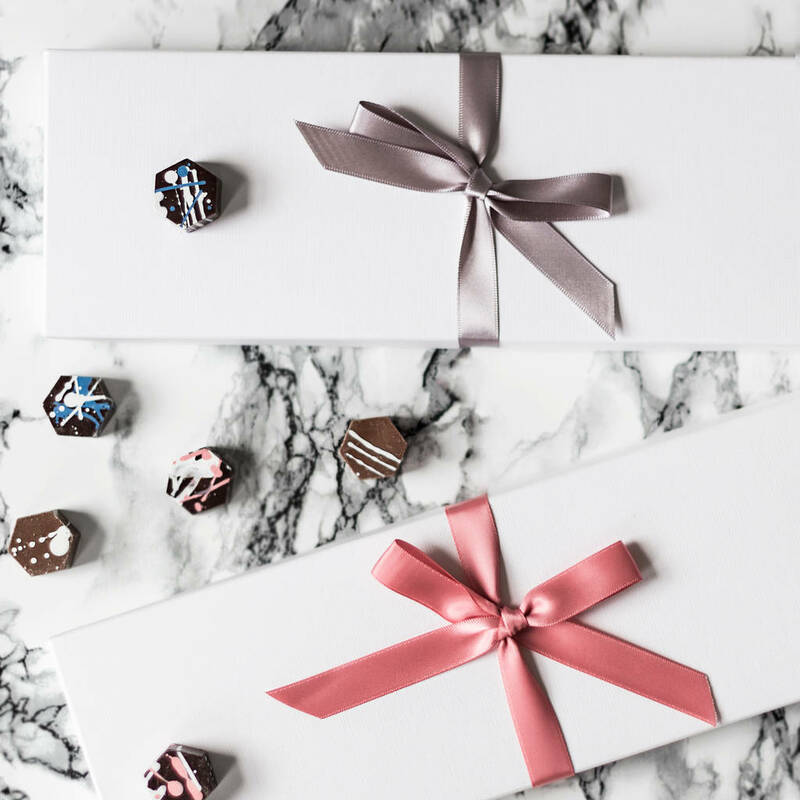 All chocolates are hand-packaged in a ribbon-tied box, making this an ideal gift all ready to give. 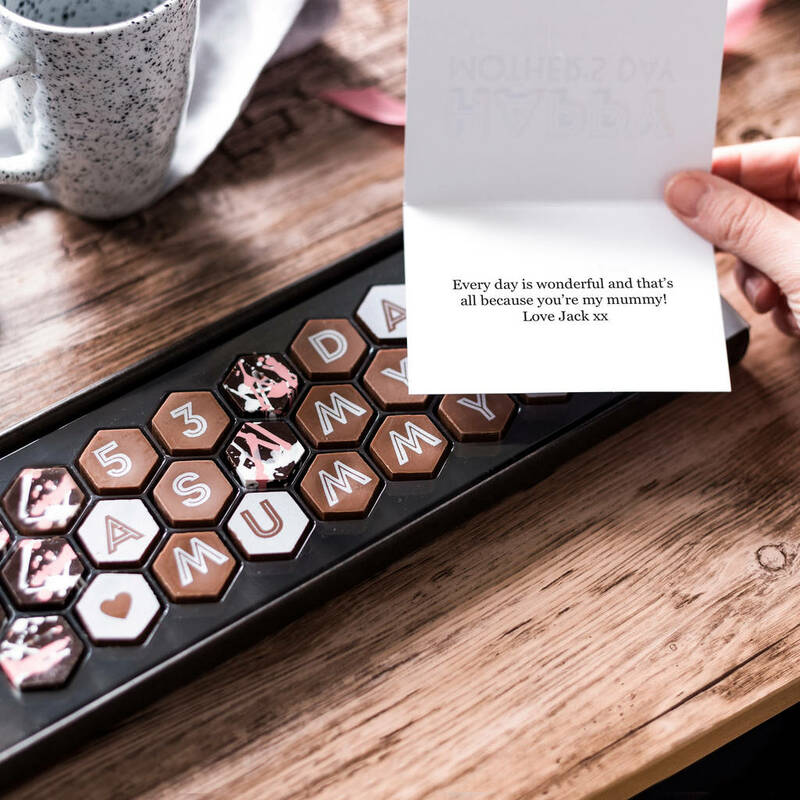 Chocolate letters are made from classic Belgian chocolate, and the spacers come in a choice of dark or milk chocolate in several different colours. Best Before Date: Always at least three months from date of purchase, often a lot more. Milk chocolate: Sugar, Cocoa butter, Whole MILK powder, Cocoa mass, Emulsifier: SOY lecithin, Natural vanilla flavouring. Cocoa solids 33.5% minimum, MILK solids 22% minimum. Dark chocolate: Cocoa mass, Sugar, Fat reduced cocoa powder, Emulsifier: SOY lecithin, Natural vanilla flavouring. 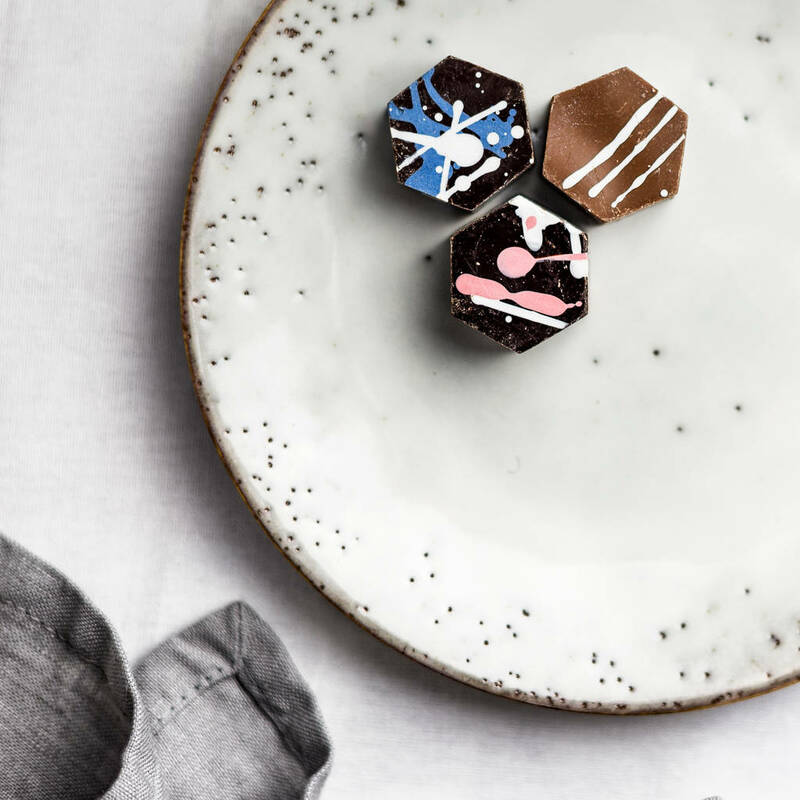 Minimum Cocoa solids 55%. Allergy information: For allergens see ingredients in capitals. May contain wheat and nut traces.